Just got an email announcement for “Dr. 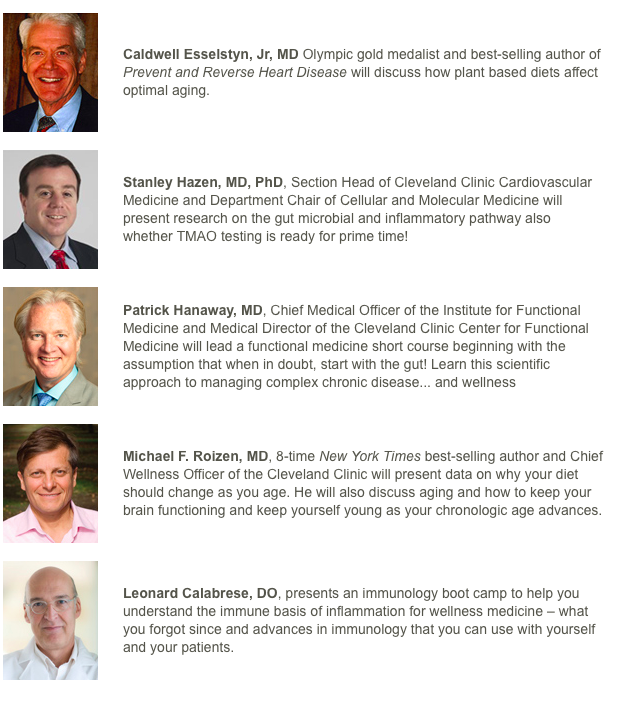 Roizen’s Preventative and Integrative Medicine Conference” in Las Vegas in December 2015. But since I spoke at this meeting in 2013 and since there was a good gender balance at that meeting, I decided to give the benefit of the doubt and keep reading (though I note – not trying to say this 5:0 gender ratio is a good thing). Now – I don’t know much about Dr. Roizen or his optimal aging claims in his books (I am skeptical). 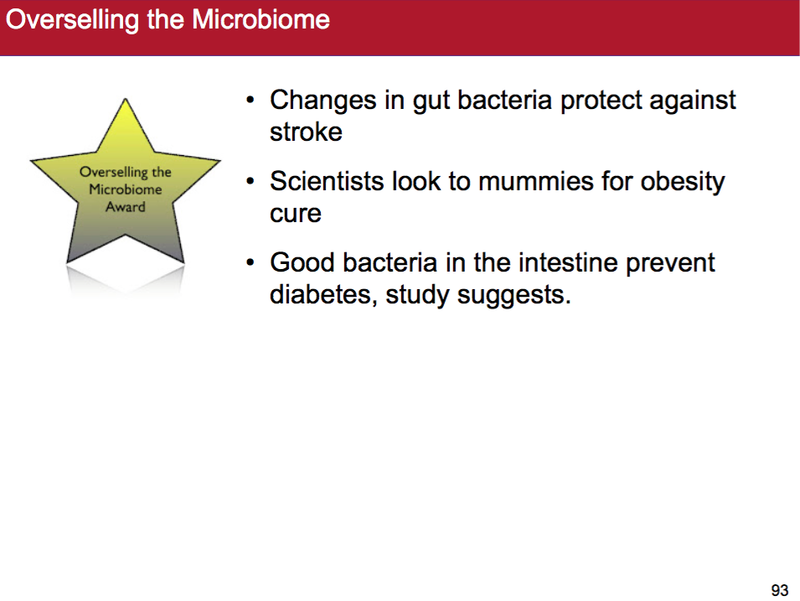 But the microbiome stuff in here is silly. 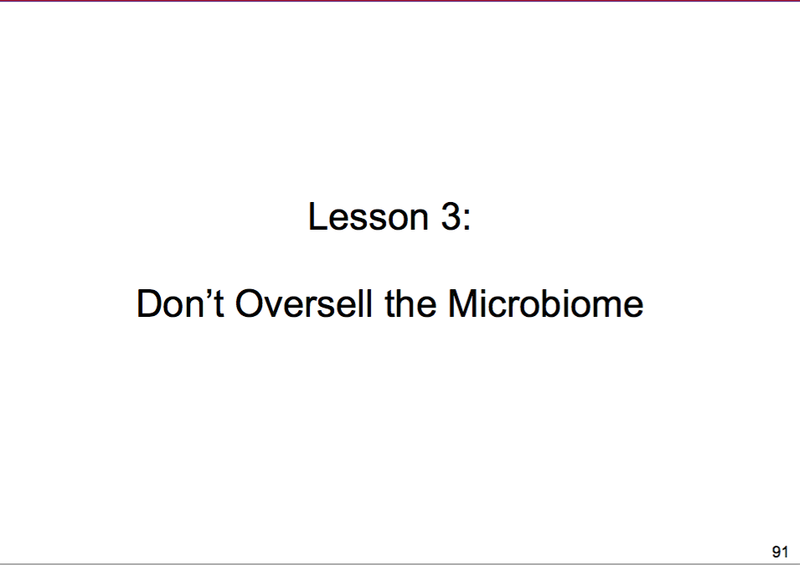 Let’s start with: “Smart tips about changing you and your patient’s microbiomes and what to do for your microbiome to promote weight loss and how it inhibits aging“. I wonder how he will give these smart tips when as far as I know there is nothing actually known about this. How the microbiome inhibits aging? Really? Is this going to be a summary of future research not yet done or even imagined? What about “The tricks about measuring your microbiome’s effects.” So – there are 1000s of scientists studying this, they mostly say it is very very very hard to study the effects of the microbiome and Roizen and crew are going to solve this with a few “tricks”? So is he saying everyone in the field is incompetent since they can’t measure these effects but he knows how to with a few tricks? 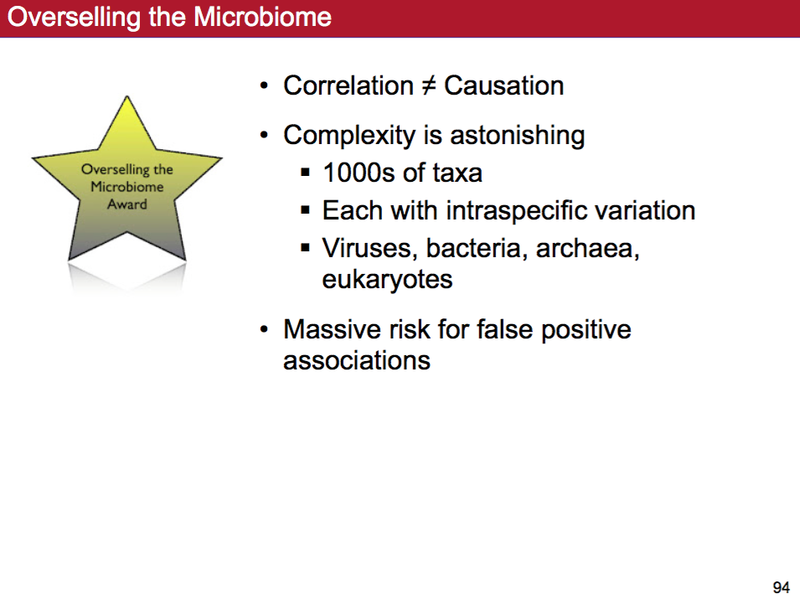 I hope he tones down his claims in the future … but for now he is a winner of a coveted “Overselling the Microbiome Award”. For other “winners” see here. Would you be able to share some information on Chicago meeting room? Actually this year, my boss is thinking to organize annual meeting in Chicago and he gave me responsibility to arrange meeting.